A little sweet, a little tart – every sip is vibrant, complex and delicious. Enjoy the juice of six Wonderful variety pomegranates in every 710 ml bottle. A little sweet and a little tart, POM Wonderful 100% Pomegranate Juice from concentrate is perfect for enjoying as a post-workout refresher, a mid-morning beverage or a beneficial juice option to accompany your family’s lunches. 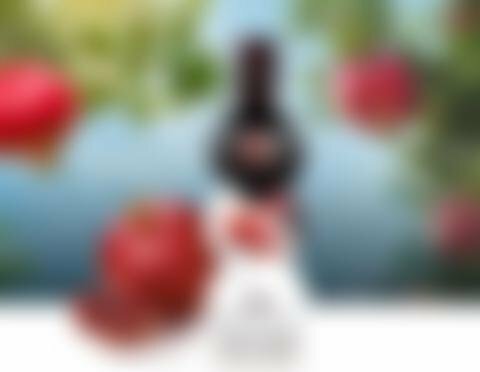 Large and deeply red, each 710 ml bottle contains the juice of six California-grown pomegranates. That’s a whole lot of pomegranate goodness and no added artificial ingredients or cheap filler juices. POM Wonderful Juice is a perishable product and should be refrigerated at all times to retain the integrity of the product and taste. In addition, POM Juice should be consumed by the expiration date on the bottle cap. Once POM Juice has been opened, it should be kept refrigerated and consumed within five days or by the expiration date, whichever comes first. POM Wonderful® is rich in vitamin C, which contributes to the protection of cells against oxidative stress. POM Wonderful® can be part of a varied and balanced diet and a healthy lifestyle. Wonderful variety pomegranate juice, from concentrate, is not only rich in vitamin C, but also a source of potassium, a nutrient that contributes to the normal functioning of the nervous system and maintenance of normal blood pressure. The Wonderful Company is a privately held $4 billion company committed to offering high-quality, healthy brands and helping consumers make better choices every day. We believe there is incredible power in the Wonderful family of brands to inspire healthier choices and to support our communities. By helping nourish our neighbours with high-quality, healthy products, we believe we can grow a better world. If you have questions or conerns, please contact us with the form below.